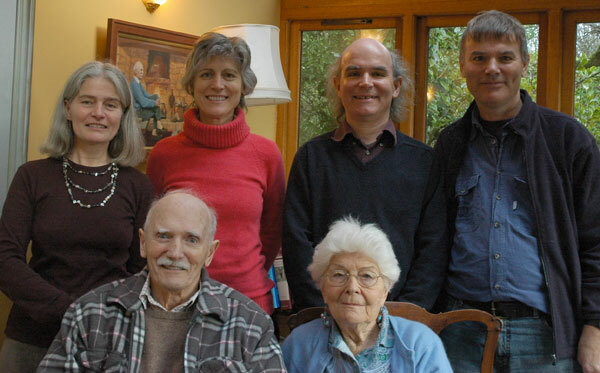 My father passed away peacefully at his home in Wookey at 10.15pm on Sunday 7 December 2008, just ten days before his 92nd birthday and a couple of weeks after this Horsfield family picture was taken on 23 November 2008. I've consolidated my mother's web pages on this site. Copyright 2005-2019 © Estate of David Horsfield. All rights reserved.